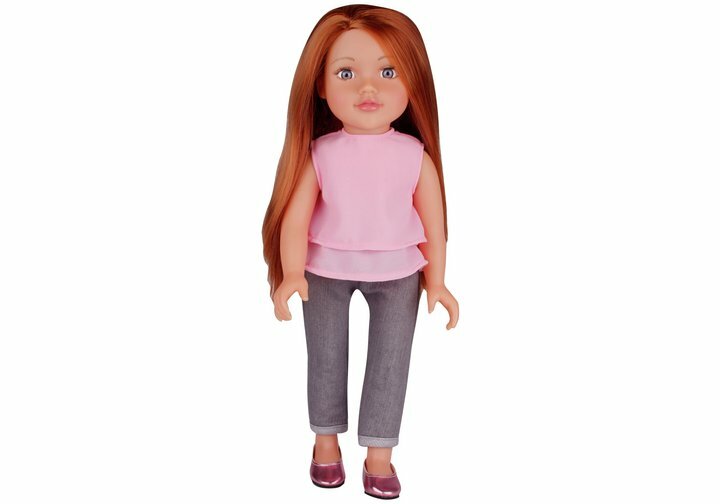 This Chad Valley Designafriend Jessica Doll has luxuriously soft straight auburn hair and gorgeous pale blue eyes. She comes attired in a lovely pink layered top with smart-casual grey denim jeans and pretty metallic pink shoes to match her top. Jessica likes to colour co-ordinate! This Designafriend doll comes beautifully packaged in neat gift box with delicate tissue paper, plus it contains a charm bracelet with a pretty heart pendant. Get money off with April 2019 free Argos voucher codes, see if there's a promo code for the Chad Valley Designafriend Jessica Doll product. Argos may be out of stock of this product. To enhance your shopping experience you may also be redirected to a search results page when you click an outbound link.